 Hunt, craft and build and explore to survive. 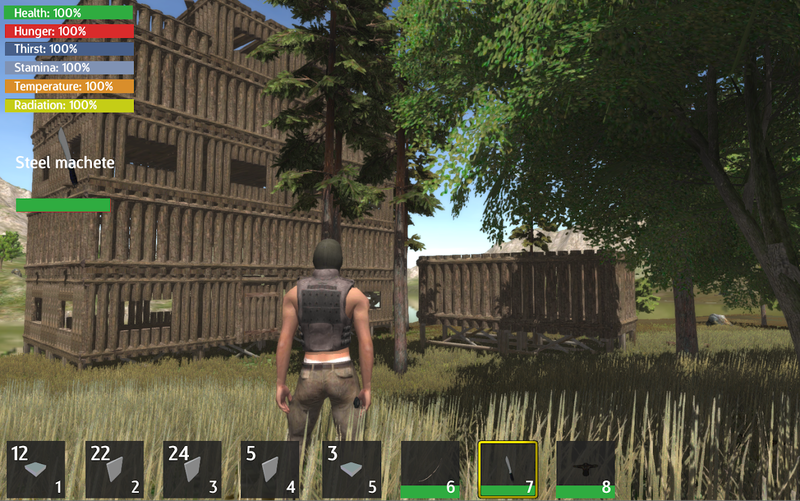 Multiplayer released here: https://play.google.com/store/apps/details?id=com.JohnWright.ThriveIslandOnline Facebook Updates/News: https://www.facebook.com/pages/Thrive-Island-Survival/292625157589349 Thrive Island is an open world, sandbox survival game where your objective is to survive and thrive in this hostile environment. Hunt, explore and craft to survive! Use your building, crafting, exploration, battling and survival skills to stay alive at all cost. You are stranded on a lost island and to your horror you have no idea how you got there. It almost feels like apocalypse. Explore the vast island and forest, and salvage anything that may help you survive before night comes! Are you a survivor? Survivors only last. 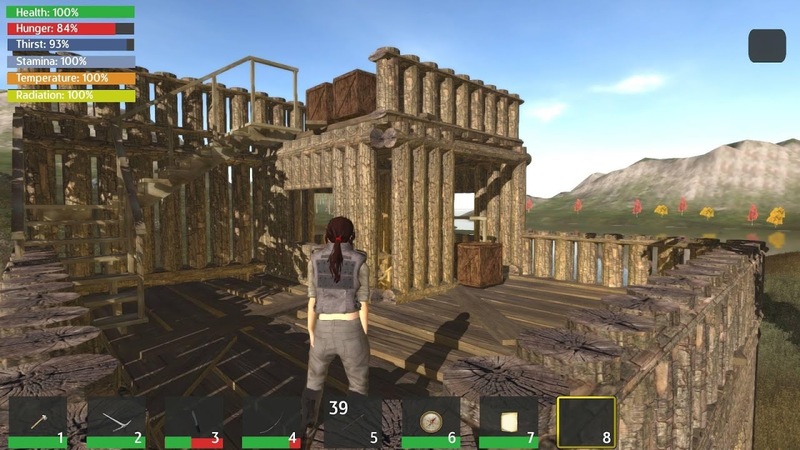 - Dynamic building system Build small shelters or huge buildings, to protect yourself at night - Explore world Roam around the nature filled world, hunt wildlife and collect loot for crafting and survival resources. - Travel the seas Explore the oceans in boats to find new islands - Explore the world Find new deserted islands, volcanoes and more - Caves and dungeons Discover and explore the hostile dungeons for a wealth of valuable resources - Crafting & Inventory Craft and store all your collected items and raw materials and use them to your advantage. Craft tools which can be used for mining, woodcutting and even combat. - Battles / Battling Battle and kill anything in sight for resources. - Potions & Brew Brew up your own recipes to help your survival - Realistic world / Day & Night cycle Enjoy the realistic environment as you explore and thrive on this island along with seasons and weather. - Nature Explore the forests, spooky woods, beaches, coasts and deserts biomes of this stranded island. - Resources Collect resources and food but be sure that it is safe to eat. Scavenge food and raw meat from animals - Survive Survive whatever the cost. There are many diseases and hazards which should be avoided. Survivors survive. - Health Make sure you eat enough food and stay warm. Make a fire to help you survive. Make sure you rest enough and be sure to pick a safe spot to rest. There is also lots of new aspects of survival that make this a realistic fun survival simulator. Such as, Oxygen, swimming, drowning, radiation poisoning, poison, weapons, tools and temperature & much more.. - Mutlilingual languages English, French, German, Italian, Japanese, Polish, Portuguese, Russian, Spanish, Dutch, Romanian, Turkish, Korean We have many ideas and plans for Thrive island and will regularly update. Current features and content in the pipeline for the next update is: Support, Like & Rate!  Is Thrive Island - Survival Throwback yours? Claim it!